“American Ultra” is one of the most effective unconventional romantic-comedy interwoven with brutality and striking action scenes. The audience joins Mike Howell (Jesse Eisenberg) as he discover the layer of lies embracing his life. What seemed to be an ordinary wasted life with drug dependency and hallucinations suddenly take an unforeseen twist when the CIA assassins appears to want Mike eliminated. Watching the film is similar to untangling chaotic memories that blurs the boundaries of realities and delusions. The script has humor and fright, and violent and romantic. There are parts of the film that distinctly feels like a slow burning indie film. But suddenly, fast-paced action scenarios ignites your senses in your seats. The plot of he film is a continuous roller coaster ride of merging themes of visual imbalance that is put together perfectly. 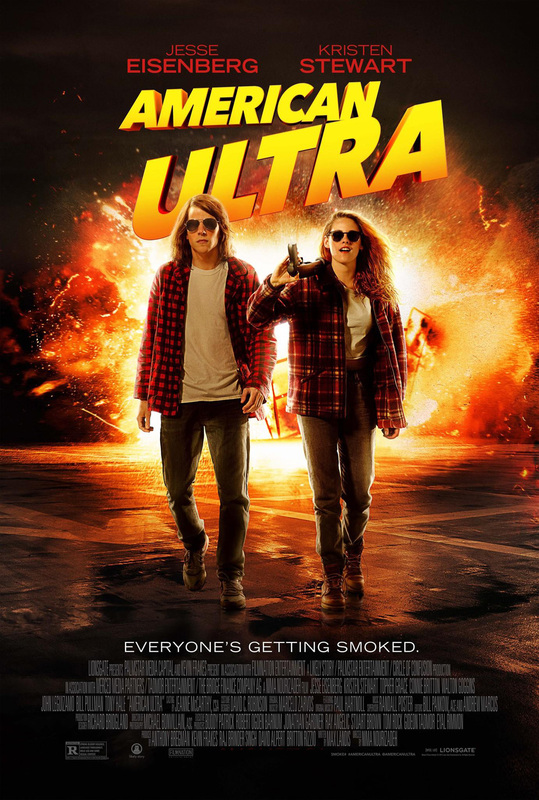 For the first five minutes of “American Ultra,” audiences may feel like they are watching a charming little indie film about two quirky characters, which is exactly what the filmmakers intended. 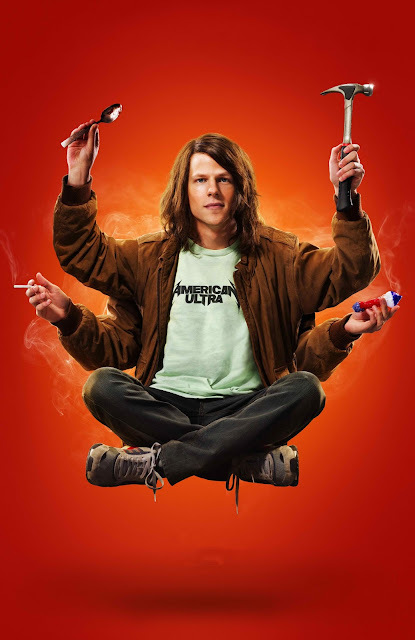 Mike Howell (Jesse Eisenberg), the movie's main character, is a smarter-than-average but completely unmotivated slacker. He is stuck in a small town, working at the local convenience store and living a very ordinary life with his girlfriend Phoebe (Kristen Stewart). Mike Howell (Jesse Eisenberg) is an unlikely contender. He is completely dependent on his girlfriend, unable to cook a simple meal without starting a fire. He has been hired and fired from the same rundown convenience store more times than he can remember, and he gets arrested for drug possession so often that the police are on a first-name basis with him. Kristen Stewart plays Phoebe Larson who appears to be as unmotivated as her slacker boyfriend but unlikely hero Mike. Like him, she seems in no hurry to go anywhere. But Phoebe is much more driven than she lets on.